Freshman defender Payton Brown sends in a corner kick against Park University in the first half of the game on Sept. 10 at Liston Stadium. 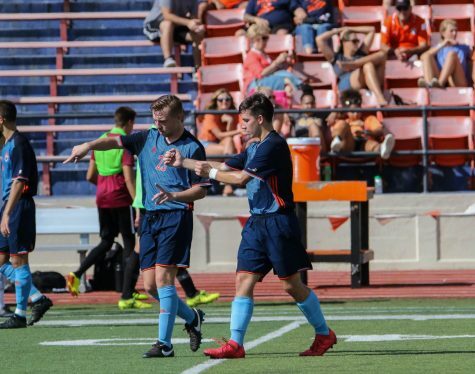 Baker men’s soccer went 2-0 over the weekend at Liston Stadium, shutting out Goshen College 3-0 on Friday then shutting out Park University 2-0 on Saturday. 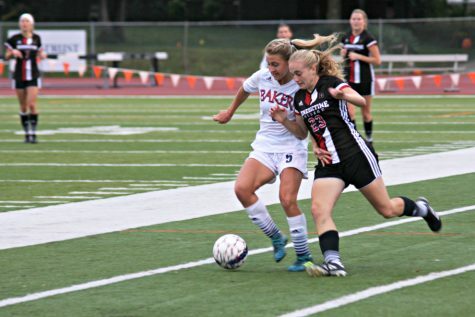 Baker began the weekend run with an afternoon match against Goshen College from Indiana. 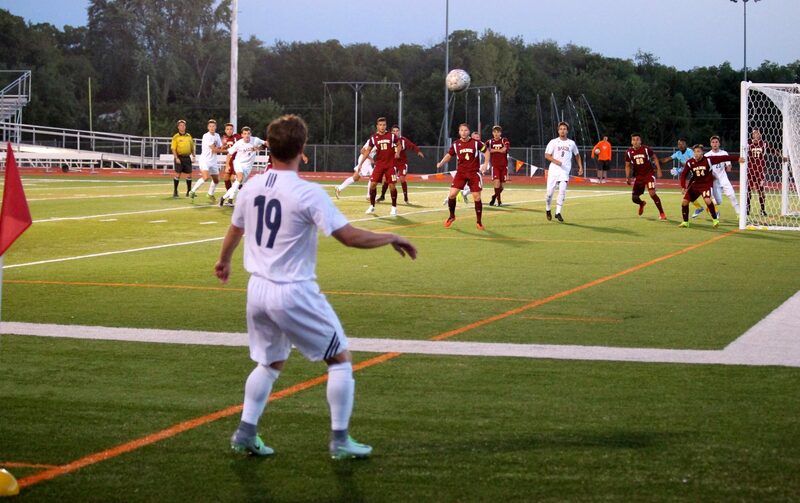 The Wildcats’ early attacking gave them two goals in the eighth minute just 10 seconds apart from each other. 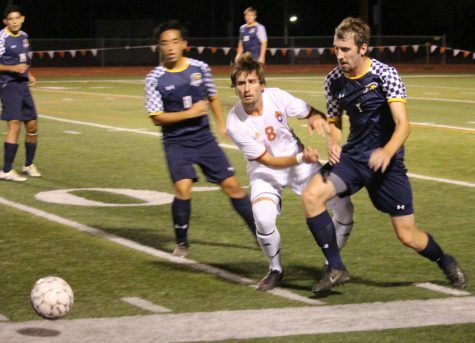 The first goal was scored by junior Blake Levine, followed by the second goal by sophomore Austin Halsey. 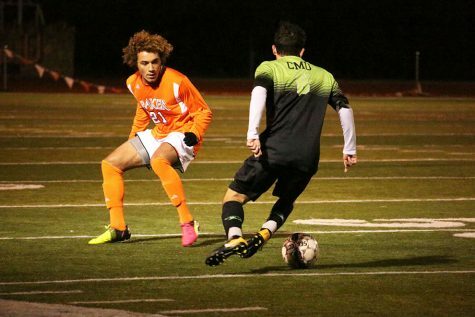 Goalkeeper Nick Riggle made his first start of the 2016 season, saving a shot from Goshen’s Brodie Nofziger, allowing Riggle to post the shutout. Baker had 10 shots compared to Goshen’s three in the first half. Goshen’s Johan Escalante was able to record three saves, but allowed the two goals from Levine and Halsey. In the second half, Baker was able to establish pace and keep the Leafs from scoring opportunities. Both teams recorded five fouls in the second half. In the 56th minute sophomore Steeve Pouna found the back of the net, finishing the Wildcats scoring for the afternoon at 3-0. Pouna led the team with three shots during the match, two of which were shots on goal. Freshman Peyton Brown also had three shots with one on goal and Levine recorded two shots on goal that day. The second half saw two different goalkeepers from the Goshen bench. Tyler Born played 10 minutes of the half, while Ollie Wisseman finished out the game allowing one goal and recording two saves. 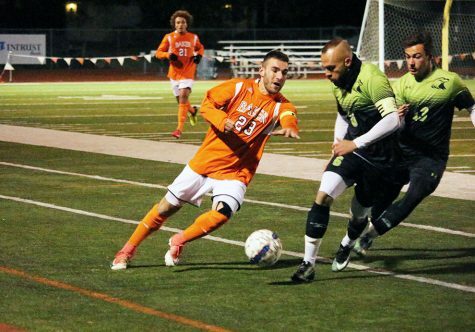 The Wildcats left Liston that night improving their record to 3-2-0 on the season, but rest and fresh legs were needed to face Park University the next night. “Between games we do jog and stretched so we can try and get our muscles ready for us to play again,” Halsey said. Baker had 10 of the same starters, replacing freshman Joah Hickel with senior Kyle Young. Young was forced to sit out of the Goshen match due to a red card that was issued to him in the previous game. The Wildcats showed a dominating display of offense with 12 shots in the first half. 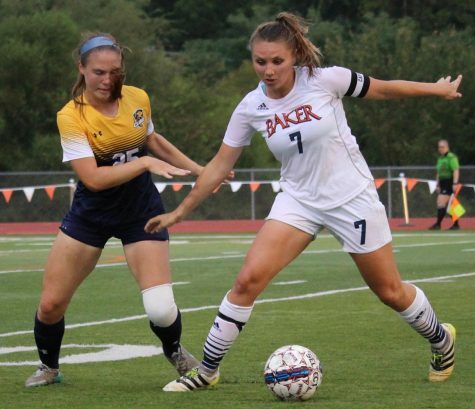 Baker took the lead in the 22nd minute with a goal by sophomore Gonnie Ben-Tal, making the score 1-0. This was Ben-Tal’s first career goal for Baker. 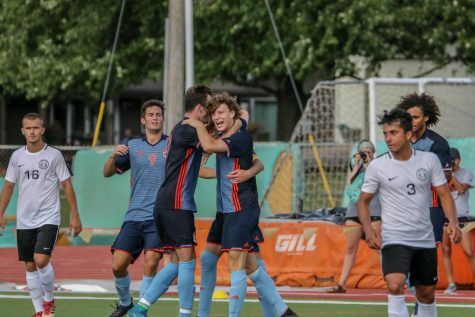 On the defensive end, Baker kept the Pirates to just three shots in the first half, and goalkeeper Nick Riggle recorded three saves on the evening. 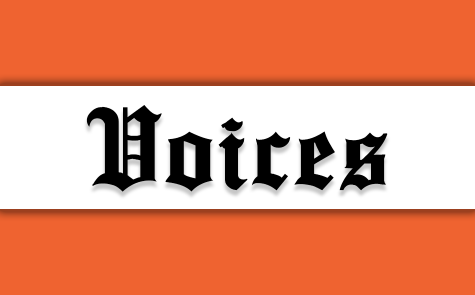 Riggle was able to record his second consecutive shutout of the season as well as Baker’s fourth shutout victory. 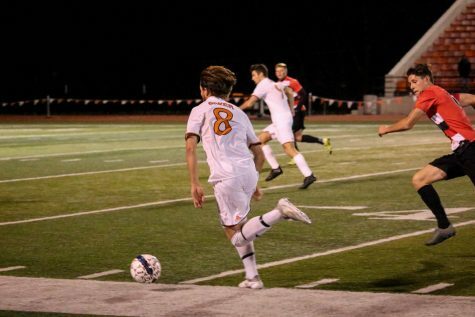 Baker’s second and last goal for the game was scored by senior Kyle Young in the 44th minute, assisted by Brown. This ended Baker’s scoring for the night at 2-0. Brown had two shots of his own in the match, one of which was on goal. Ben-Tal led the team with four shots, followed by three for Halsey. Baker outshot Park 18-7 in the match. 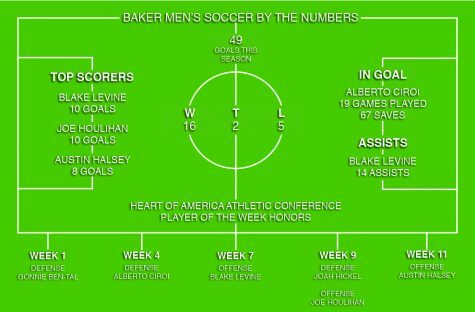 After the weekend Baker improved to 4-2-0 on the season with conference play just around the corner. The Wildcats have a short break until they travel to Dubuque, Iowa, to face Clarke University on Saturday. This will be the Wildcats’ season opener in the Heart of America Athletic Conference.